Customer Testimonials for ACC Auto Sales Inc. I bought a Silverado from them 2 1/2 years ago, and my brother just bought a Sierra from them today. Their inventory is largely (as far as I can tell) vehicles rotated out of company's fleets, they all appear very clean and well maintained. The staff is terrific - professional and easy to work with. 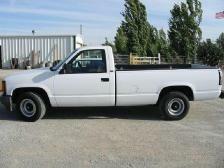 Especially if you are looking for a work truck (pickup or van) I highly recommend. 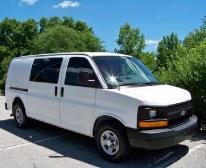 Prices are very reasonable considering the excellent condition of the vehicles. 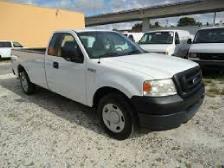 We purchased a work truck from ACC and were pleased with the quality and selection of their inventory. 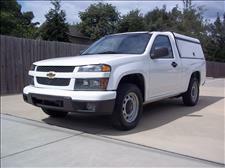 The truck we purchased was very clean, had been fully serviced and was in excellent condition. The owner took care of our paperwork and all went very smooth. We will definitely go to ACC again when we add another truck to our fleet. I give high praise to Jonathan @ ACC fleet. In a nutshell I was waiting for a truck he had coming. I was the first person to test drive it and I had a concern that I told Jonathan about. I am going to post his email response because you could not ask for more than this!! "I'm going to have it looked at....I just got back, drove it 5-6 miles, and I felt exactly what you described. Whether you buy it, or someone else, I want it right. It will probably be later next week before it's ready. I would highly recommend these guys!!!!!! 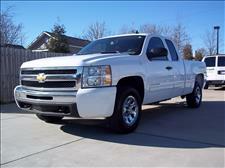 Very smooth transaction with the purchase of a new vehicle. The staff was extremely helpful in obtaining a small lock repair from reputable resources. Thank you. We will be looking to do further business with you in the near future. 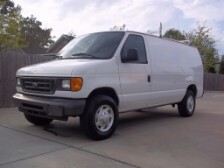 I was surprised by the feeling of honesty I encountered at this dealer, as a result I felt that buying something in their lot would probably the best thing to do, so I did buy a cargo van. Yes I recommend them. 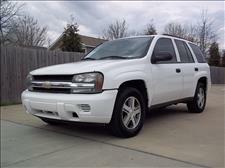 Best car / truck / van lot in Raleigh!!!! All vehicles are hand picked. Must pass their criteria before they consider them for their lot. Then they are gone over by top grade mechanics to ensure years of service. 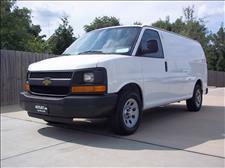 I purchased a work van from the guys @ ACC, & they were very easy to deal with & had the best price for work vans in the area. I had shopped at some other dealers, & was not satisfied with the way I was treated. Go see the guys @ ACC! I will be back when I need another van. I searched Craigslist & found the truck located in Raleigh. I called, spoke to Jonathan, he was very honest about the truck, so I came up from S.C. & took it home. It has been a good truck so far, runs perfect! I'm glad I found them. My business is located in Va. but I have a local office in Raleigh. I needed another van for my new hire, & I stopped by ACC Auto Sales, & spoke to Kevin, he was very accommodating, (not like other places I had stopped). 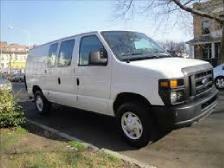 I looked at what they had, shopped around at some others places, & found that Kevin had the cleanest van for the price, so I returned & did purchase it the next day. I know when I need another van, I will be calling Kevin & Jonathan! I saw an ad for a 3/4 ton truck I needed for my landscape business, I called & spoke to Joe, he was very informative & told me they had several other trucks in stock as well. When I went to the lot, they had several choices to consider. 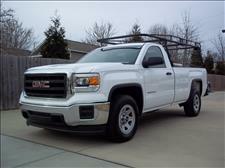 After driving them I ended up purchasing 2 work trucks for less than $10K! My business is really taking off, & I will be back to do more business with Joe @ ACC Auto Sales! Jonathon was the sales person that I dealt with at ACC Auto Sales. He was very accommodating and sensitive to our needs. He was very patient and enjoyable. He did a great job satisfying us. 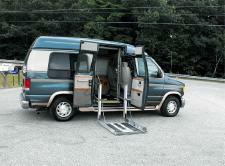 I had been looking to buy a handicap van for a long time. 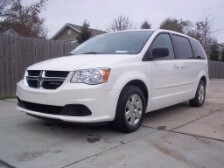 I did enjoy the process of finally buying the van. I can't say anything bad about them. Great Place to Buy a Used Car!!! – Bought a Celica from ACC Auto Sales. I absolutely LOVE it!!! My dad owned an automotive shop for many years and has over 30 yrs experience as an automotive technician. My dad found the listing on Craigslist and I called ACC to let them know I was interested and my dad came with me to make sure it was in good shape. It was in excellent shape. They were very helpful and we are so pleased with the purchase we are now surfing their website for a car for my husband :D Thanks ACC!